If you are currently facing a dental emergency, whether it be an abscessed tooth or another instance, you can use our 24/7 dentist hotline or Call 24/7: 1 (877) 507-0879 to get immediate help. Our hotline is free, offers fast service and is easy to use. Our molars—those big grinders at the back of our mouths on both sides—are the teeth that help us chew hard or tough foods into a soft pulp that we can actually swallow. These are the teeth that enable us to eat a wide variety of foods and when there’s something wrong with your molars, you’ll probably notice it. Still, not all broken molars are immediately noticeable. As with all of our teeth and bones, though, any cracks, fractures, or breaks are potential medical emergencies waiting to happen. Learn more about the symptoms of a broken molar and how to get it treated so you can avoid potentially serious dental issues. The symptoms associated with a broken molar tooth vary depending on the cause of the issue and the actual issue itself. Molars can suffer everything from tiny, unnoticeable hairline cracks below the gum line to dramatic breaks resulting in sudden and immediate destruction of nearly the entire tooth structure, pulp tissue, tooth enamel, and damaged nerve endings. Like root canal treatment or a split tooth, a broken molar is something we may put off for as long as possible—but read on to find out why we shouldn’t. If you suffer one of these major molar tooth breaks and suffering from severe tooth pain, you’ll likely notice. Let’s say, for instance, that you take a baseball to the jaw and, once you get over the shock, notice you’ve got sharp pain due to a tooth fragment digging into the inside of your cheek. Or you bite into a particularly brick-like ginger snap and hear an ominous crunching sound right below your ear, only to discover upon inspection with your tongue that a large part of a tooth is missing. These sudden, dramatic broken molar scenarios aren’t necessarily that common and you’ll know it when you see it. The damage may be visible to the naked eye or the tooth may simply feel different in your mouth. There might be some blood or tooth fragments as well. Subtler and less traumatic molar breaks or an area that has become fractured can be harder to detect. Pain is the number one symptom, but that pain isn’t necessarily going to be constant. You may feel pain when you bite down too hard on something, eat something super sugary or drink a super cold drink. In these cases, the pain itself may be indistinguishable from that of a cavity or another common tooth decay issue. Over time, though, you may notice the pain becoming more frequent, or you may notice that your jaw feels weird when you bite down. This can be a sign that a part of your molar has chipped away or the fractured area has increased without your notice and it is something that can happen with the mostly invisible teeth at the back of our mouths. A small swollen area that looks like a pimple may show up on your gum near the cracked tooth and you may even be able to see visible pus at the gum. These are all signs that something potentially serious is going on and you should seek emergency dental care as soon as possible. 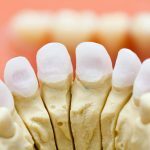 What Happens if I Don’t Treat a Broken Molar? 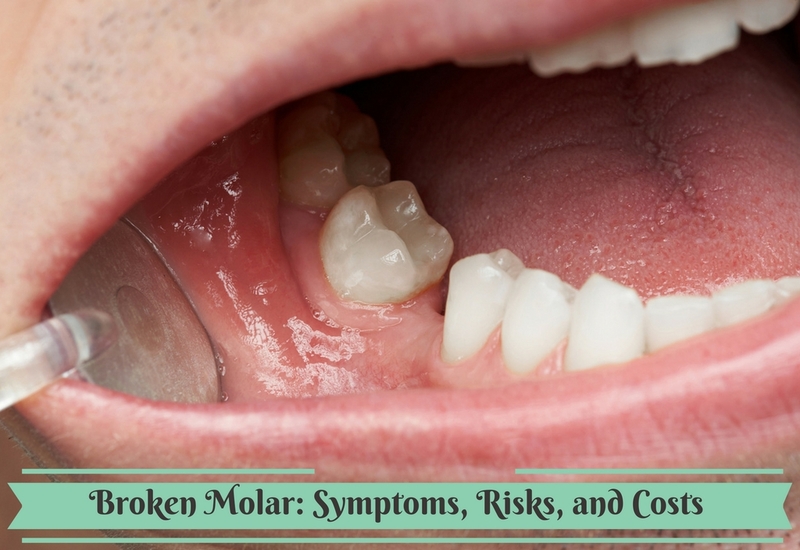 Does it really matter if you have a broken molar? Well, as mentioned above, our molars rank among our most important teeth. They have a specific job to do and eating is going to be quite annoying if you don’t have all your teeth in good working order. But the potential problems get much worse than that. On the most basic level, pain is a major issue associated with a broken molar. The pain you experience from a broken tooth can be excruciating, especially if the break results in an exposed nerve. A bad toothache isn’t just a nuisance. It can be a major distraction that impedes your ability to focus, sleep and act like a decent human being. Pain isn’t just an emotion that you can ignore or get over. It’s a physical reality, a part of your body’s survival mechanism. And when it comes to teeth, ignoring the pain now usually just means more severe pain (and bigger dental bills) later. Aside from pain, though, serious infection is a risk with a broken tooth. You wouldn’t walk around with a massive open wound on your arm, right? A broken tooth is essentially like an open wound in your mouth. You’re exposing parts of your body that should be protected from bacteria. Any type of bacterial infection can be fatal if it’s left untreated. This is an extreme outcome, but it is a possibility, particularly for those with weakened immune systems or poor overall hygiene. How Much Does It Cost to Fix a Broken Molar? 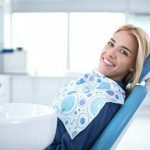 The good news is that many dental insurance plans will cover treatment for a broken tooth, though only the best plans will offer generous coverage that includes all the various procedures required to fix a broken molar. Cost also depends heavily on what kind of crack or fracture you have and how the dentist decides to repair it. 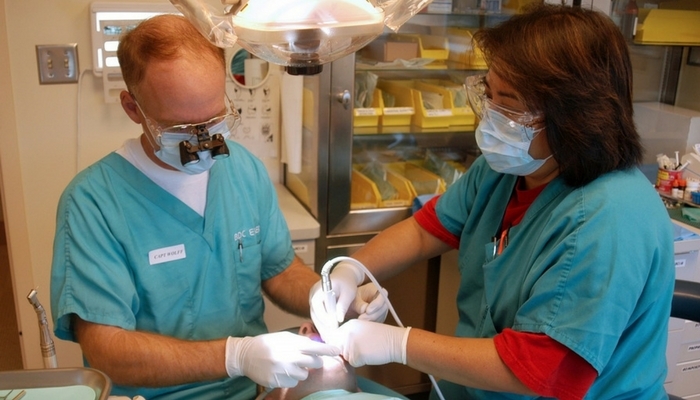 A simple hairline crack at the top of the tooth can be treated with a dental crown. 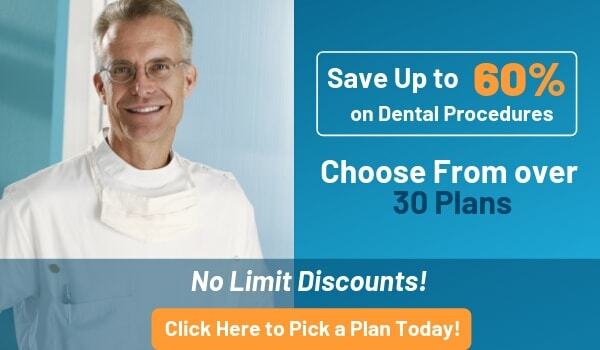 Porcelain crowns are usually the most expensive, and they can cost several thousand dollars without insurance. 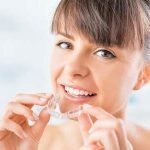 Metal crowns are cheaper, but also come with their own set of risks and drawbacks, most notably that they’re much more noticeable than a porcelain crown, which usually blends in with the color of your teeth. Because insurance companies often opt for the cheaper of two options, your insurance may be more willing to cover a metal crown. If you have a complete fracture resulting in a missing portion of your tooth, repairs can be more expensive and elaborate depending on how much tooth you’re missing and how the dentist decides to fix it. 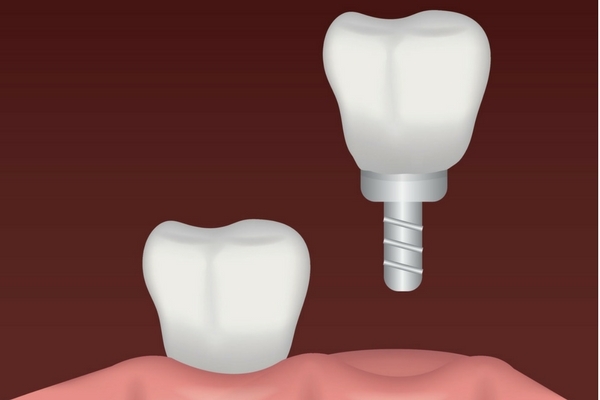 When molars break dramatically, leaving little actual tooth behind, you may require a replacement tooth dental implant. 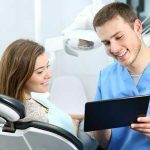 This is more of a risk if you have a lot of cavities or fillings in the broken molar, as dentists need some solid tooth material to complete less invasive repairs. When you know or suspect that you have a broken molar, it’s imperative that you seek immediate treatment. A completely broken molar or a molar that has obvious signs of infection such as consistently seeping blood or pus needs medical attention. What’s more, the longer you wait, the worse it will be. If you’re on vacation and you experience these serious issues, you should even consider going to a dentist where you are now rather than waiting until you get home.